Running a bit behind today and had to rush a bit. Better late than never though!! Todays bear is one of my favorites! Tomorrow is the last day and I (hopefully) Have a special going out with a bang type bear planned! 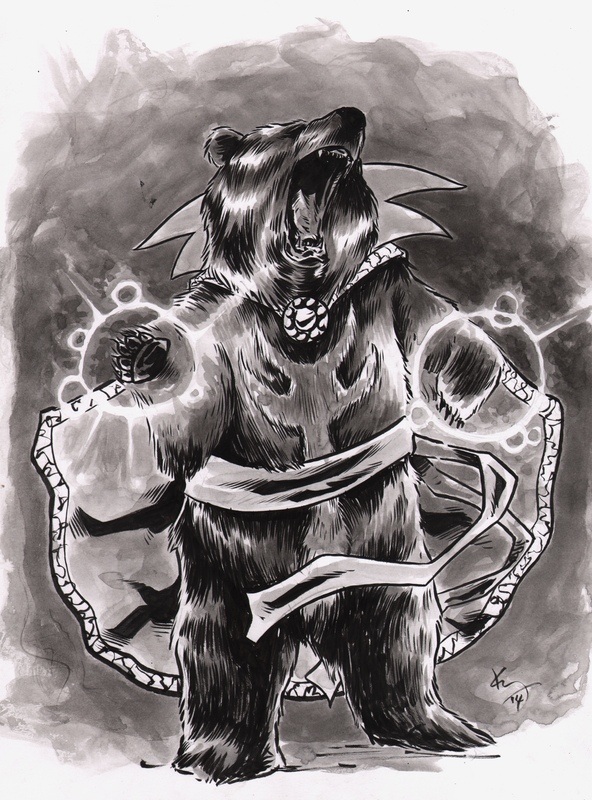 This entry was posted in alphabands, alphabeasts, alphabooks, alphabots, art, Comics, comics by kelly williams, fantasy, heavy metal, horror, punk, Sci-Fi, the cabinet, Uncategorized and tagged 80's cartoons, alphabeasts, alphabooks, art, artistic process, avengers, bears, comics, doctor strange, drawing, drawings, fantasy, fiction, funny, heavy metal, horror, illustration, ink, kelly, kelly williams, marvel comics, monsters, movies, music, novels, pencils, sci-fi, sketches, the cabinet, treebeerd, undead, williams, writing. Bookmark the permalink.